With more and more businesses across verticals and industries creating content, people have become desensitized towards brand content. People now look for and essentially demand content that gets them involved, creating a more personalized and memorable experience. Quite obviously, the competition on the web has become fierce, forcing inbound marketers to become more creative than ever before in their marketing endeavors. Everyone seems to be in a frenzy of creating “engaging content,” but when everyone is trying to capture the fancy of today’s discerning audiences, how will you make sure your inbound marketing strategies make you stand out from the crowd? The answer is simple! 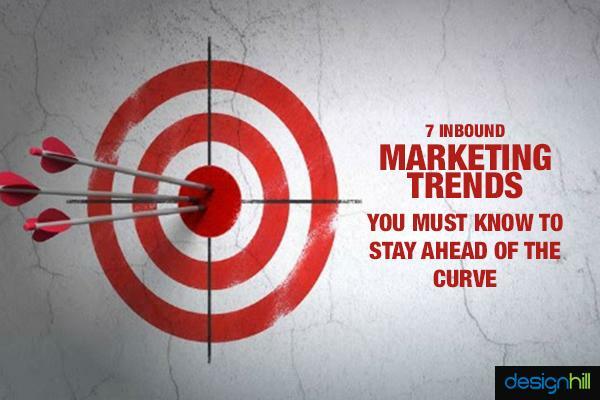 You'll need to understand the changing direction of inbound marketing and embrace the trends of tomorrow to stay ahead in the game. Here, we reveal some such innovative, upcoming trends in the world of inbound marketing to help you deliver maximum value and minimize the impact of the ever-changing and demanding market. Last year, User-Generated Content (UGC) was one of the hottest trends in the world of inbound marketing. The popularity was spurred by larger than life brands, but In no time at all, User-Generated Content developed into an essential component of the modern marketing machine across the board. A fine example of this, one that exemplifies the spirit of this trend, is Starbucks’ White Cup Contest launched in April 2014. Starbucks fans were asked to create their own art on the chain’s white cups, click a picture of that and submit it to Starbucks’ Twitter or Instagram account using the hashtag #WhiteCupContest. Not only did this contest help Starbucks easily collect user-generated visual content for its social media pages, but it also helped the company drive traffic to its social media sites and its official website. User-Generated Content will continue to make waves this 2016 and for a good reason. In fact, it is 20% more effective when it comes to facilitating buying decisions, according to a research paper released by Go.crowdtap.com. In addition, 25% search results for world’s top 20 brands are links to user-generated content. What Should You Do? Capitalize on your audience to create UGC! From product reviews to pictures taken by your fans, to social media comments, and comments on your blog, incorporate these user-generated pieces into your marketing stream to amplify engagement, brand awareness, and leverage social proof. Yep, we saw many businesses sharing their brand stories the interactive way last year. In a blog published by IMPACT Branding & Design, Community Coordinator, Carolyn Edgecomb, reveals that storytelling is one of the best ways you can develop deeper connections with your target audience. No wonder, we expect to see more of the same this year. The dynamics of the market are changing dramatically and businesses are faced with the challenge of capturing the attention and interest of users’ right from the get-go (or risk losing out to their competition). Consumers look for and essentially demand a visual story that’s interactive, powerful, and creative rather than the simplistic and one-way approach. It could mean that, soon, interactive content and storytelling will be the norm, rather than the exception. And that realization is pushing a lot of marketers to change the way they drive their brand message and push their brand story forward. So, get set to start sharing problem-solving stories focused around your consumers and prospects. Once you’re able to learn the magic of interactive storytelling, you’ll be able to connect with more consumers, generate more leads and convert more for your business. What Should You Do? Explore how your team can utilize interactive content like quizzes, calculators, assessments, generators, or graders. Check out this article from IMPACT about recent campaigns from big brands that used interactive content to tell their unique stories. According to HubSpot, 54% of B2B marketers and 50% of B2C marketers believe that producing engaging content is the biggest challenge they face today. Creating content that takes elements of your brand and showcases them to the world in a way that’s irresistible is easier said than done. This is why episodic content was developed. It’s the perfect technique to boost engagement and retain consumers over an extended period of time. The gripping storyline and the eventual conclusion makes episodic content emotional, relatable, and addicting. Quite obviously, it never fails to generate curiosity about your brand. Kate Spade’s “Missadventures” is a classic case of an amazing episodic content that increases engagement and offers umpteen opportunities to effectively put forth the business message. New York-based fashion designer, Kate Spade wanted to start a conversation for her fashion brand and build a massive following. In order to do this, she started a video series called ‘Miss Adventures’ with Actress Anna Kendrick. In each episode, Anna Kendrick wore Kate Spade products and got into a quirky adventure. Then, at the end of the video, viewers were invited to shop for the Kate Spade products featured. In the end, Kate Spade was able to effectively advertise her product without much efforts with the help of effective episodic content. This is a pretty audacious bit of predictions, but the end of guest blogging to gain links may be upon us. I say this because Matt Cutts, who leads Google’s webspam team, announced in 2014 “...stick a fork in it: guest blogging is done; it’s just gotten too spammy,” and with Google’s ever-evolving algorithm it’s clear, they have no tolerance for spam. You’re probably thinking that guest blogging is perhaps the best way for link building. So, why is Matt Cutts calling for the death of it? It is because many bloggers don’t carefully consider the sites that they are linking and end up creating links to spam sites. But for those who give it the time and attention it deserves, guest blogging will still exist for exposure, branding, increased reach, etc. through legit blogging practices, valuable content, and high-quality inbound links. What Should You Do? If you’re looking to stay ahead of the curve, we advise you to keep your back-links clean, ensure quality content when exploring guest bloggers, and make sure your inbound links come from relevant blogs/sites only. Here’s another 2015 trend that’s only getting stronger. Micro-targeting and hypersegmentation is the process of using consumer data to put forth your brand message to the right people at the right time. Every time people visit a website, they leave behind a wealth of data. Even social media sites like Facebook and Twitter offer a vast repository of such data. Clever marketers access this information to target niche audiences and conceptualize advertising to capture the attention and interest of their consumers and prospects. Bannerflow recently revealed that targeted advertisement campaigns prove to be twice as effective as non-targeted ones. No wonder, more and more marketers are expected to use this technique to closely target consumers, in 2016. What Should You Do? Pay attention to your user-data and buyer behavior. Take note of what pages people are looking at before they decide to make a purchase or how far down the page they’re reading. All of these little insights will give you data to improve your content and experience to better reach your audience. This was a winner last year and it’s still here; the “Internet of Things” trend. Technology drives change. From the iWatch to Google Glass and FitBits, wearable tech products are in demand and there has been a decided demand for more personalized and memorable experience on them. Google Glass is a classic example of wearable tech that has revolutionized the way inbound marketers operate. Google Glass users can use the device to watch YouTube videos, do a Google search, and even scroll through text. As wearable devices, like these, are becoming popular, the demand for content that fits on small screens and feels native to how the devices are used, are increasingly in demand as well. Though the ability to product content is fairly limited for wearable devices, marketers may use such devices themselves to post a short textual piece or a short video content in order to push content to lure in ever-so-connected gadget freaks. A few years ago, The Wall Street Journal published an article “Why Email No Longer Rules.” This was spurred by a number of websites and marketers declaring “the death of email marketing,” but the truth is that it never died. And even if it did, it’s back from its grave and is all set to make a comeback. McKinsey & Company reveals that email conversion rates are three times higher than social media, with a 17% higher value in the conversion. I predict that inbound marketers will continue to explore its potential to address targeted audience and to generate engagement for business. Don’t believe us? Check out these 5 stats that will make you believe that email marketing is here to stay for long. What Should You Do? With these stats in hand, it’s hardly surprising that email marketing is going to be a major win for marketers in 2016, but to do well, you need to optimize your email design to fit the ever-changing screen sizes and automate trigger emails to effectively up-sell and cross-sell. And whatever you do, never forget to play by the new rules. That means personalizing your emails to meet the interests or needs of your recipients. So there you have it, my 2016 inbound marketing trends prediction. The trend that seems obvious, at this point, is that marketing is going to be focused more on customer engagement, interaction, simplification, and accessibility, but I’m sure of one thing, more awesomeness will come. Cheers to more exciting trends!